I am so glad to be able to attend the launch of Samsung's newest line of digital appliances. As a mom who does the everyday chores of a busy household, I find these smart gadgets very useful and yes, techie. Samsung has taken a step higher in giving people a better lifestyle. Thus, equipped with state-of-the-art electronics and a passion for innovation, Samsung has come up with their new line of digital household appliances that will ensure a happy home. Among their breakthrough inventions is their new air conditioner with triangle design. In a country that is notorious for its sweltering summers, a proper air conditioner is almost mandatory. But the difference between this new Smart Air Conditioner and an conventional air conditioner is clear. It does not just produce cool air; it has been tailored to be more efficient and cost-effective in this task. Thanks to its carefully engineered triangle design which allows for bigger fans within a more compact body. Thus, it circulates cool air faster, farther, and wider while maintaining a sleek look. Designed to be outstandingly efficient, its uniquely triangular design has a wider inlet, wider outlet and a bigger fan to ensure that air is cooled and expelled faster (26%), farther (14m meters) and wider (39%) – ensuring even air distribution and powerful cooling. Also, the new air conditioner begins cooling the air fast using its powerful Fast Cool mode, to cool down the room faster. It then automatically changes the mode to Comfort Cool to maintain the desired temperature. Users won’t feel cold and don’t have to keep manually changing the settings or turning the air conditioner on and off. Energy efficiency is a key purchasing decision for consumers. The Samsung Air Conditioner’s Single User mode gives the flexibility to the user to control the capacity by effective use of energy. It uses less compressor capacity, reducing power consumption, while still providing a cool and comfortable environment. This ensures that users won’t have to worry about the electricity bill even if there’s only one person in the room. The new Samsung Air Conditioner features Samsung’s exclusive Virus Doctor that keeps families safe and comfortable through innovative air purifying technology, which neutralizes harmful contaminants in the air. The Virus Doctor feature has received various accolades including a 2010 AHR Expo Innovation Award in the indoor air-quality category, a 1st Air Day Minister of the Environmental Award, and the Jang Young Sil Award. Now, mothers need not worry about air-born viruses and allergens with Samsung’s Virus Doctor technology. Using an application on a smartphone, the Smart Wi-Fi function lets users remotely control the functions of the Samsung Air Conditioner to schedule its operation. In any location with a wireless network, users can instantly turn it on and off and select the operating mode as well as temperature. Additionally, the air conditioner is able to communicate operational time and electricity usage as well as providing filter cleaning reminders. The unit can also store preferred operational settings and cooling preferences. The Smart Installation is a self-diagnosis feature that ensures the air conditioner is installed perfectly by the aircon installer. It automatically checks for installation faults that might cause problems when the air conditioner starts operating. The Smart Check automatic error-monitoring system detects and diagnoses problems and provides easy troubleshooting solutions using a smartphone application. It saves users time and prevents unnecessary costs prior to a service call. 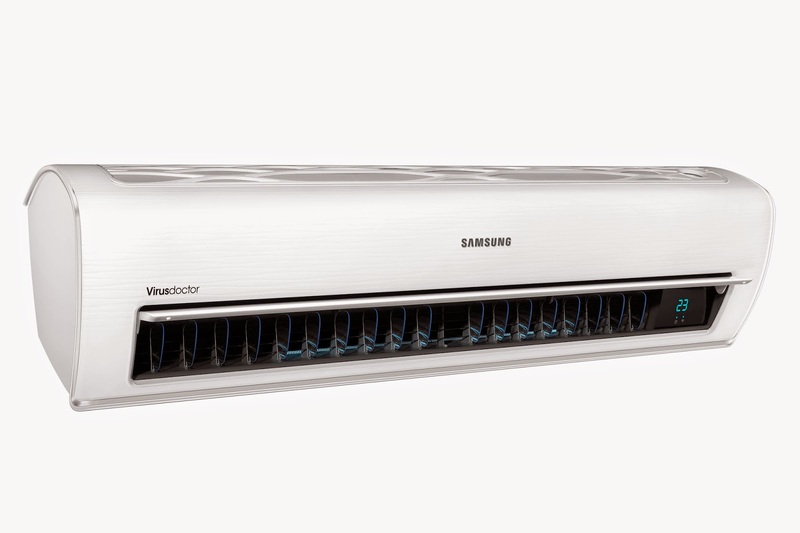 This, alongside its efficiency, cost-effectiveness, and innovative design, makes Samsung’s new Smart Air Conditioner the perfect household appliance for any savvy family wishing to ensure the health and wellness of their children. Part of their new lineup also includes the new Food Showcase Refrigerator. This innovation provides smart organization for all your different types of food. There are two layers of doors in order to properly showcase the contents of the refrigerator, making it much easier to visualize your stocks. There are the outer compartments for your most frequently used products, allowing instant access. And then there are the inner compartments for ingredients that you don’t use as often. Not only does this maximize space, this setup makes organizing and consuming food a simple process. Everyone in the family, including the children can access refrigerator contents with ease. The new Food ShowCase Refrigerator also features an ice and water dispenser. At the touch of a button, users can enjoy a refreshing glass of chilled filtered water or fill a pitcher with cubed or crushed ice. 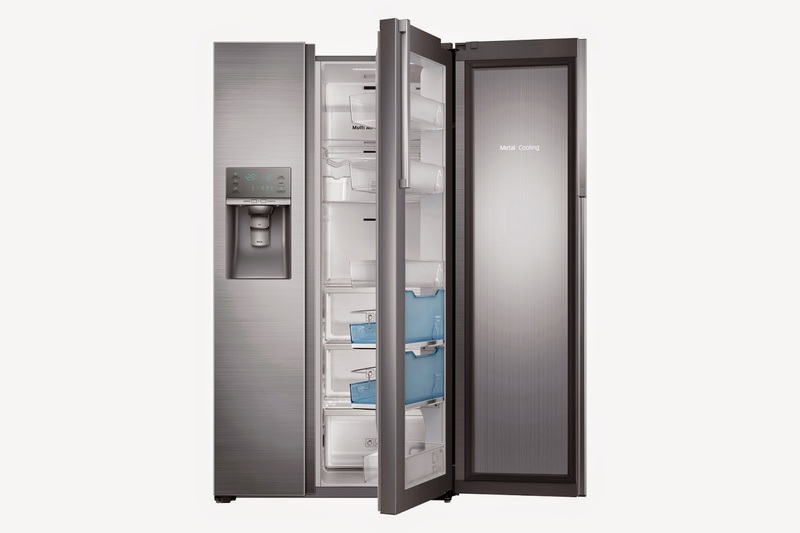 This refrigerator is also equipped with Samsung’s trademark Digital Inverter Technology. This means that the refrigerator utilizes the same smart technology that allows it to adjust its temperature accordingly. Thus, no unnecessary energy is consumed, making this an efficient and cost-effective appliance. Another addition to their lineup of smart appliances is the Front Load Washing Machine. Doing the laundry is an arduous and time-consuming task. There are many things to consider when it comes to washing fabric, but Samsung’s newest Front Load Washing Machine makes cleaning clothes a breeze. It makes use of Samsung’s own Eco Bubble Technology that allows powerful cleaning in cold water. Using warm water is an extra step when it comes to doing the laundry, and it can also be damaging to some fabrics. But the Eco Bubble allows for easy cleaning by completely dissolving detergent even with cold water producing fine foam that easily penetrates the fabric for both effective and gentle, cutting the time, effort, and energy needed in doing this task. In addition to being extremely powerful with its high Revolution Per Minute (RPM) rate, it is also furnished with the Stain Away Program. This pre-programmed cycle was designed to deal with the 12 most common types of stains: blood, cocoa, sebum, oatmeal, tea, wine, tomato, pencil lead, mud, makeup, lipstick, and grass. It does all this with less noise, less vibration, and more performance than an ordinary washing machine. And of course, it is outfitted with the Digital Inverter Technology, guaranteeing efficiency and cost-effectiveness. 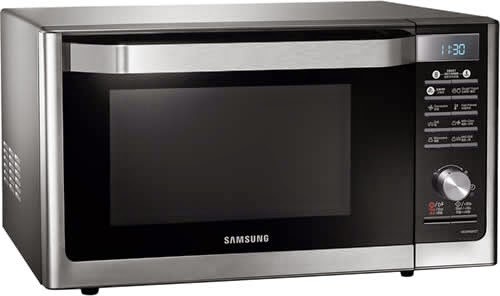 Last on Samsung’s latest digital appliance lineup is the Samsung Smart Oven. The Samsung Smart Oven comes with more cooking settings in order to provide families with the best cooking experience possible. It includes features such as auto-cook for pre-programmed recipes yogurt making, dough proofing, and “Slim Fry” function. Slimfry function is what differentiates this from the typical Microwave Oven, since preparing meals no longer has to be an unhealthy experience. The “Slim Fry” technology allows you to enjoy your favourite fried food cooked to a crisp without the oil. Cooking healthier meals for the family without cutting on taste and texture is now made possible. Meanwhile, the other smart features this smart oven has fulfilled a multitude of purposes. Its premium sensors allows it identify a food’s surface temperature, so whether it is frozen, chilled, or fresh, it can adjust its heat accordingly so you do not have to worry about overcooking or undercooking your meals. This makes it a great addition to any household.